Clean, straight lines, slab cabinet doors and drawers, tons of natural light and warm wood tones create a perfect space for this refreshing kitchen! 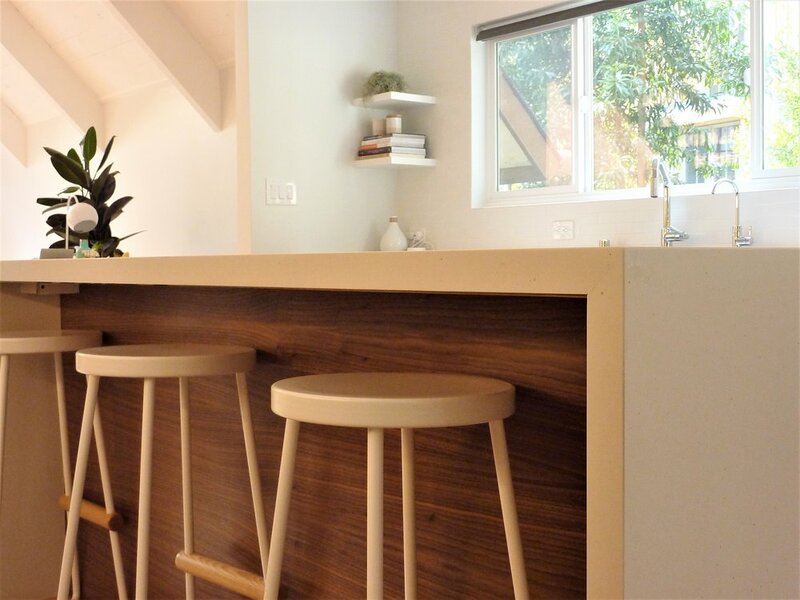 This kitchen is a perfect example of a contemporary space that just ‘feels like home’. Chrome plumbing fixtures pop against the crisp white subway tile, and black cabinet hardware perfectly complement the light fixture hardware. How could you not love this one?